Our mentors are friendly, experienced Standard ML developers who will help teach you new techniques and tricks. 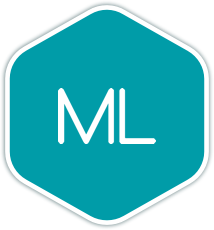 Standard ML (SML) is one of the two main dialects of the ML programming language. ML was the first strong statically typed language, developed in the early 1970s at the University of Edinburgh. Despite its age, SML feels very young in many ways; SML had features that mainstream languages would not pick up for decades and are still being experimented with today. SML was originally designed for developping proofs about first-order predicate calculus (read: computer programs) and it can have a distinct academic feel about it. However, its emphasis on immutability and strong typing has led SML to be used in many fields where program correctness is paramount (compiler design, code analysis, financial systems, medical systems, etc...). Learning SML makes you a better programmer, because it forces you to write code that is stateless and to use closures effectively. It's also many programmers first introduction to pattern matching and (truely) strong typing. And because SML's type system is so strong and well-thought out, it often feels like you are working in a dynamically typed language instead. You can find information on the language on each implementation's sites. Once you join the Standard ML language track, you will receive support and feedback from our team of mentors. Here are the bios of a few of the mentors of this track. These are a few of the 27 exercises on the Standard ML track. You can see all the exercises here. The Standard ML Maintainers are the brains behind the Standard ML Track. They spend their spare time creating interesting and challenging exercises that we can all learn from. We are incredibly grateful for their hard work. Here are the bios of a few of the maintainers of this track. Get started with the Standard ML track. As with everything on Exercism, it's 100% free!